Morocco said on Thursday the amount it will spend this year on subsidies will be 6 percent percent higher than previously thought, straining state finances already suffering from the global slowdown. Morocco has a widening budget deficit after it spent heavily in an effort to stop economic difficulties from provoking a uprising of the kind seen in other parts of the Arab world in the past few months. Khalid Naciri, the communications minister, told a news briefing the amount allocated to the government’s subsidies fund — used to keep down costs of consumer staples, such as bread and cooking oil — was now 48 billion dirhams ($6 billion). The central bank governor said in June the figure for the year would be 45 billion dirhams. That was itself a sharp rise on the 17 billion dirhams allocated to the subsidies fund at the start of this year. Because of extra spending, Morocco’s budget deficit in 2011 is forecast at 4.5 percent to 5 percent of gross domestic product, against a 3.5 percent target. Economists say the government will have to sell assets or go to debt markets to narrow the gap. Asked about the budget, Naciri said: “There is no crisis, the word crisis is very strong, but we are experiencing financial hardship. “Reality imposed those conditions on us because of the global financial crisis. 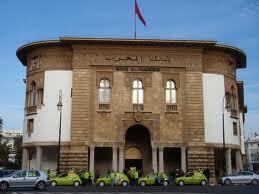 In spite of this, the Moroccan economy has succeeded in maintaining a good growth rate,” he said.